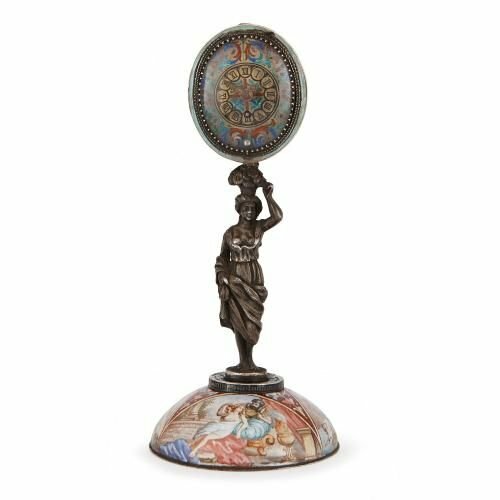 This 19th Century Austrian table clock features beautiful panels depicting classical scenes, crafted using the complex champleve enamelling technique. 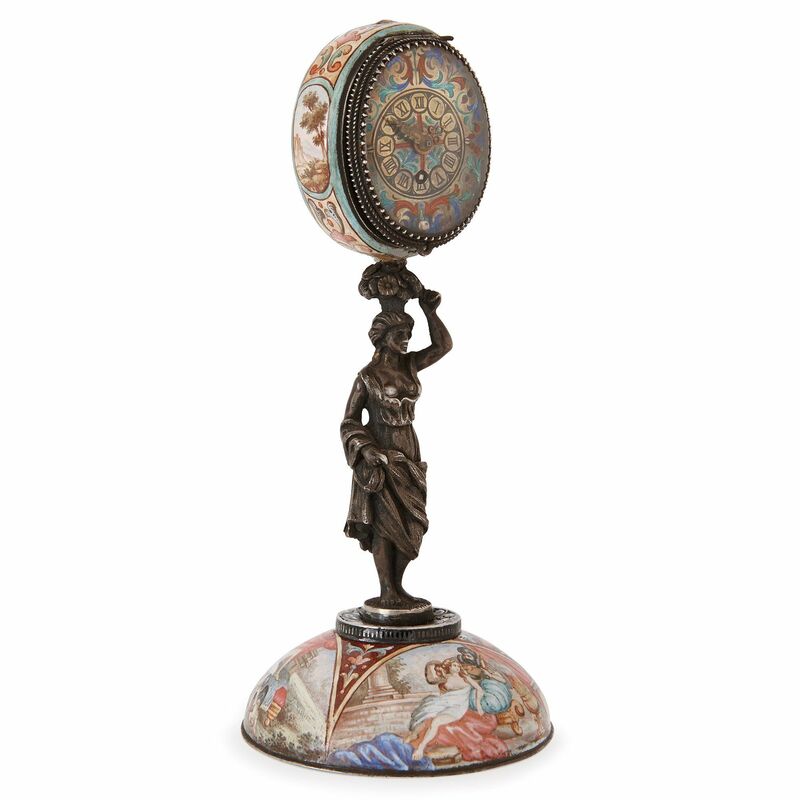 The table clock consists of a champleve enamel dial supported by a silver figure set on a domed enamel base. 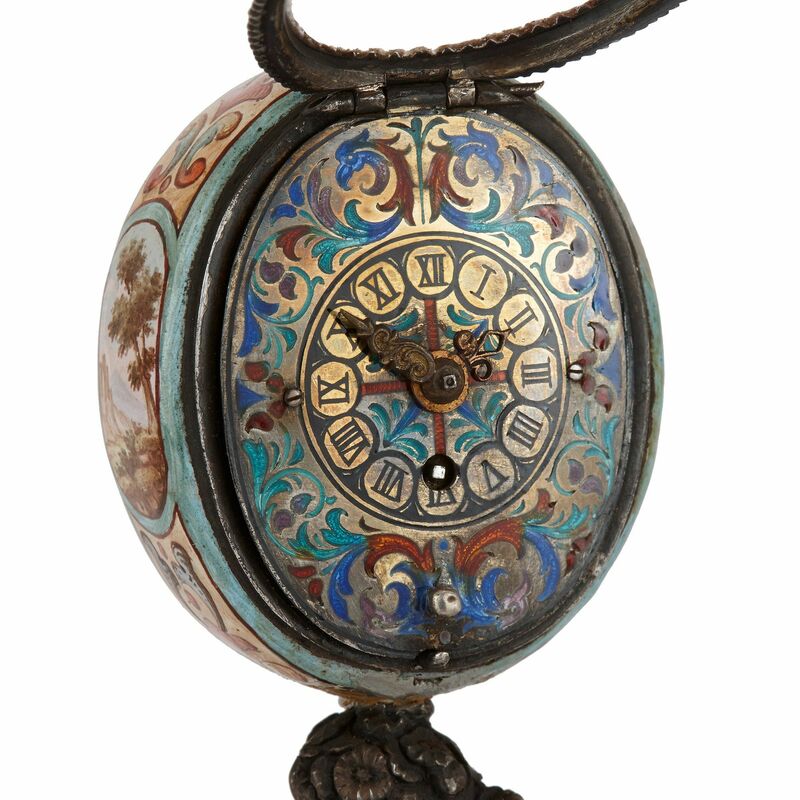 The oval champleve dial contains Roman numerals, each of which is in a roundel bordered by polychrome foliage decoration. 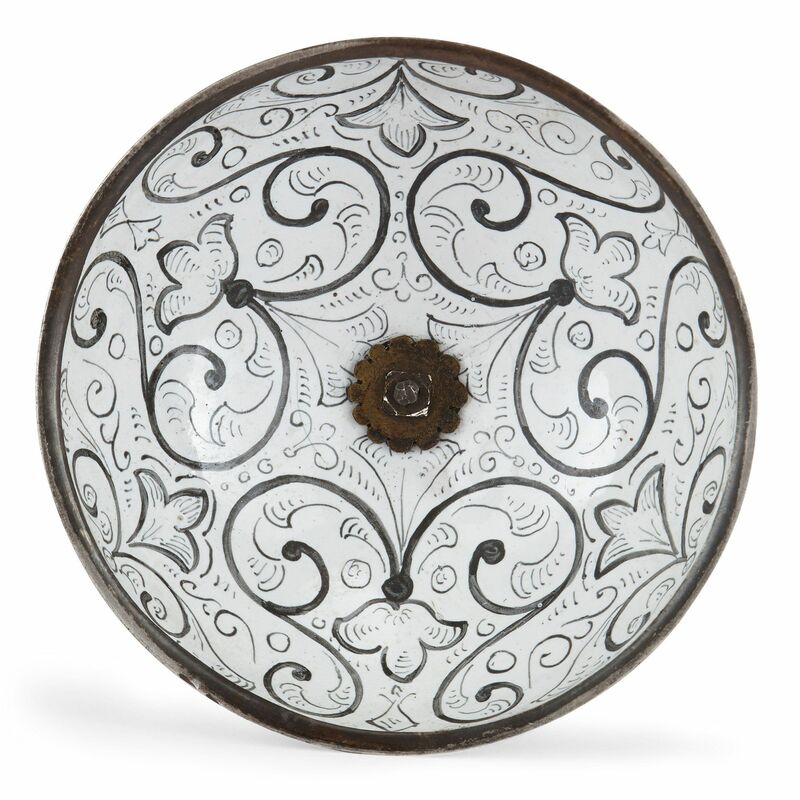 The glass front of the watch case is hinged and set within a silver mounted frame. 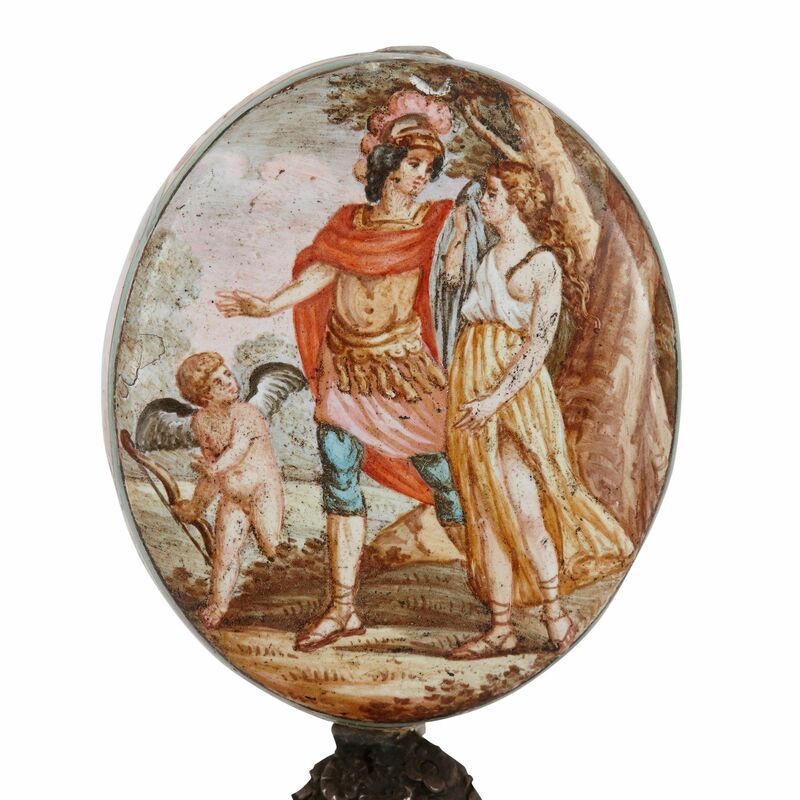 The sides of the watch case are decorated with alternating enamel panels of landscapes and flowers, and the back of the case contains a panel depicting classical figures and a putto. The silver figure supporting the dial depicts a woman holding a basket of flowers on her head. 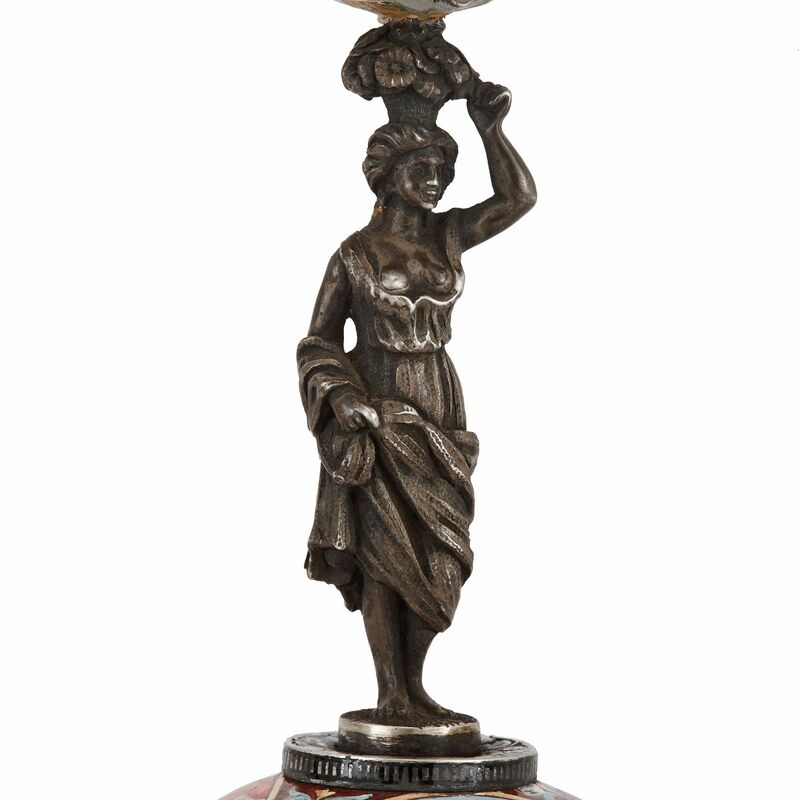 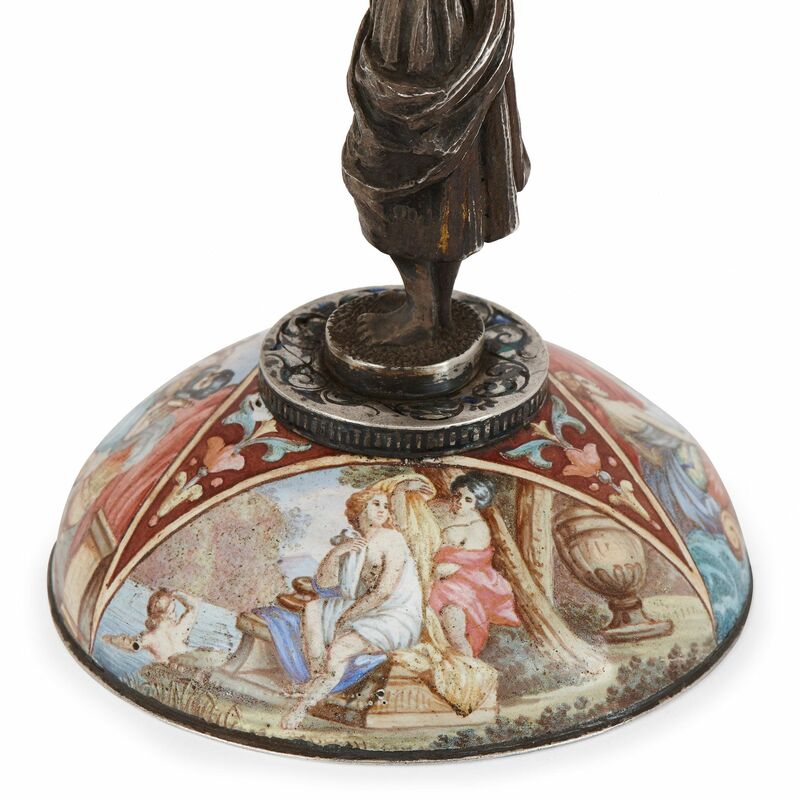 She is modelled standing on a domed base containing further enamel panels showing classical figures and landscapes.